In its preliminary financial report for 2018, HMD’s manufacturing partner FIH Mobile announced changes to their relationship with the creator of new Nokia phones, as well as new info about the performance of the Business. The things FIH Mobile mentioned in their report, do explain a lot in terms of phones being available in limited markets or the confusion that is created in Europe. There are few news with the same magnitude of importance, but let’s start with some general info. In 2018, FIH Mobile recorded revenue of 14.93 billion US dollars, with a loss of 857 million US dollars. FIH has 3 segments: Europe, Asia and America. Revenue of “Europe”, that is coming from HMD because HMD is registered in Finland, grew from 1.65 billion dollars in 2017 to 2.02 billion dollars in 2018, while making a loss of 368 million dollars. It is anticipated that it may take time to reach needed scale of products as HMD is operating in a handset market which is highly competed and market growth has slowed down and few markets have even contracted year over year. Despite all the actions and efforts that have been taken by the Group’s IIDM business in the past two years, the overall performance is poor. (…) the biggest challenge continues to be the IIDM business relating to the manufacturing of Nokia-branded products and the manufacturing and distribution of Nokiabranded phones which are still in the difficult stage of increasing volume and margin performance is generally bad. So, FIH Mobile will continue to manufacture that 1st and 2nd generation of Nokia devices, as well as further develop feature phone and smartphones, but going forward, the company refuses to basically make phone at a loss, meaning that they will probably take orders for the upper end of the segment. HMD will contract other ODMs to meet market demands. This might not be entirely bad, because other ODM might have a different supply network, that might regarding some components be better than stuff FIH has. The performance of FIH’s business related to Nokia phones has been described as poor, with the situation in Europe being described with “has deteriorated dramatically“. Besides manufacturing, changes in distribution are coming as well. When FIH Mobile bought Microsoft Mobile, that mainly consisted of the feature phone business, there was also an existing distribution network for feature phones. 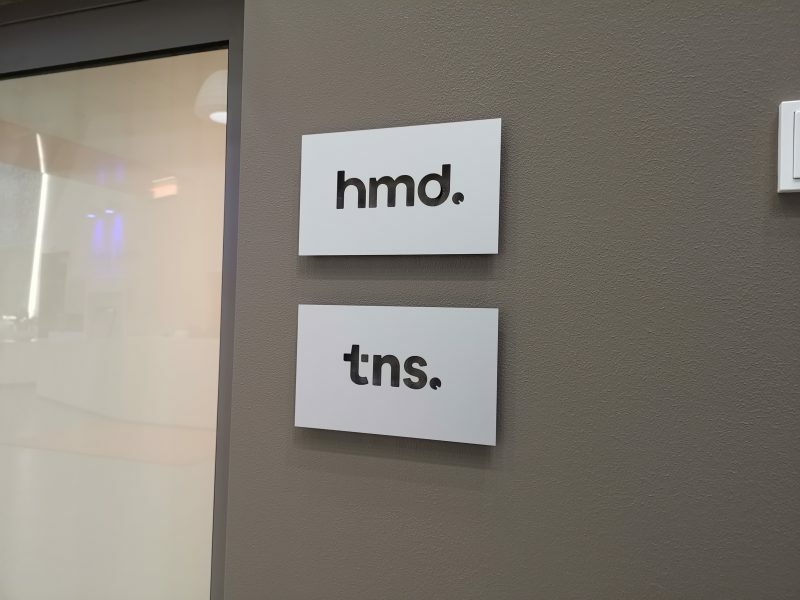 FIH founded a company called TNS, that was basically HMD’s twin (as can be seen from the title picture), that was responsible for distributing Nokia phones FIH manufacturers. With the end of 2018, TNS will no longer distribute Nokia phones. In fact, TNS already undertook a deep cost cutting re-organization and discontinued the distribution operation as a whole, suspending all agreements with the end of 2019. The strategic changes between HMD, TNS and FIH could explain the internal re-organization and layoffs happening inside HMD. TNS is really like HMD’s twin, because they distributed only Nokia phones and practically wherever there is an HMD office, TNS is nearby. Anyways, if you’re interested, you can download FIH’s report here. I did mark things related to HMD and re-uploaded the document here, for easier reading. What lessons can we learn from this report? Making phones on a global level isn’t as easy as it seems, and maybe the frustration a lot of us have with Nokia phones’ time to market or availability in general comes from logistics. FIH’s report is detailed and really describes the problems the company encounters while manufacturing phones, so if you’re into corporate reports, I do recommend it. Time will tell how this strategic shift will reflect on Nokia phones.